Now that I have successfully taken my Christmas tree down and packed away all of our New Years decorations, I have realized that it is time to shift my attention to our next beloved holiday…Valentines’ Day! While part of me thinks that Valentines Day is a completely overrated holiday, the other part of me likes the fact that it gives me and my family another opportunity to celebrate and have some fun together. It is another excuse to break out the nice tablecloth and have a fun themed dinner. One of my favorite types of recipes are the “do-ahead” kind. Anything that I can make ahead of time and throw in the freezer is a wonderful thing. 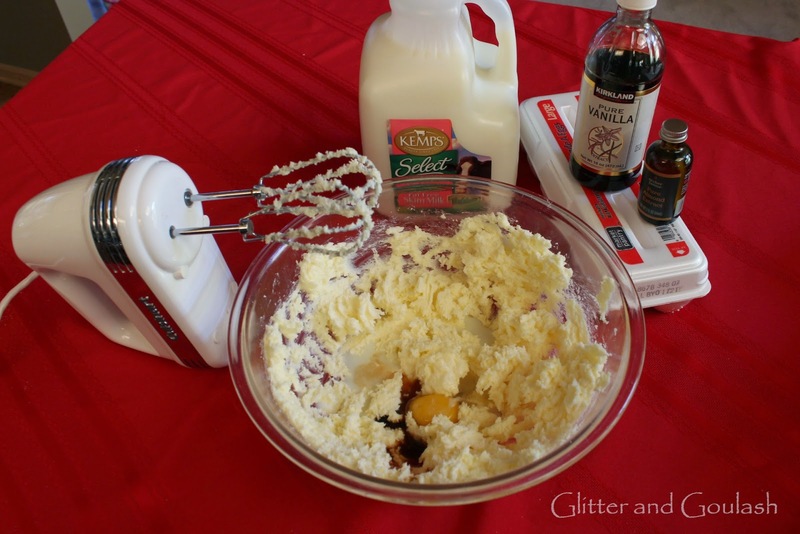 This recipe for spritz cookies is one of those that I like to do ahead of time and throw in the freezer. When the big day gets closer, I will pop them out of the freezer and use them for all sorts of things. 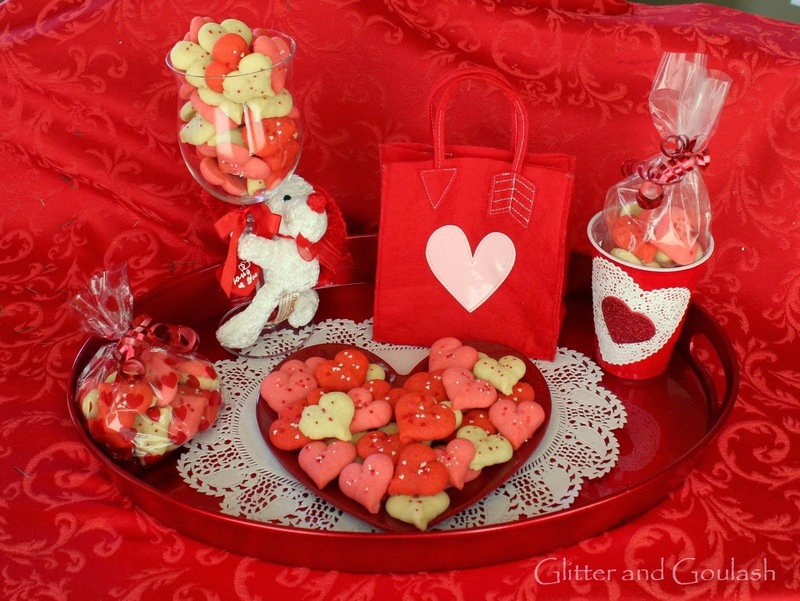 I will save a few for my daughters lunch at school for a special little Valentines Day treat. The rest, I will put in little containers and give as gifts. 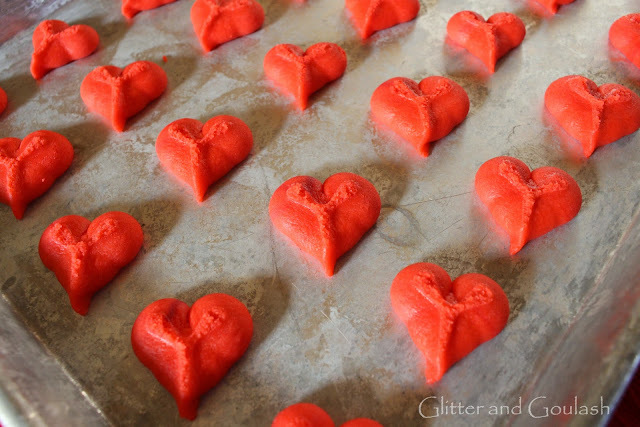 These are a sweet treat that everyone from teachers to neighbors will love. 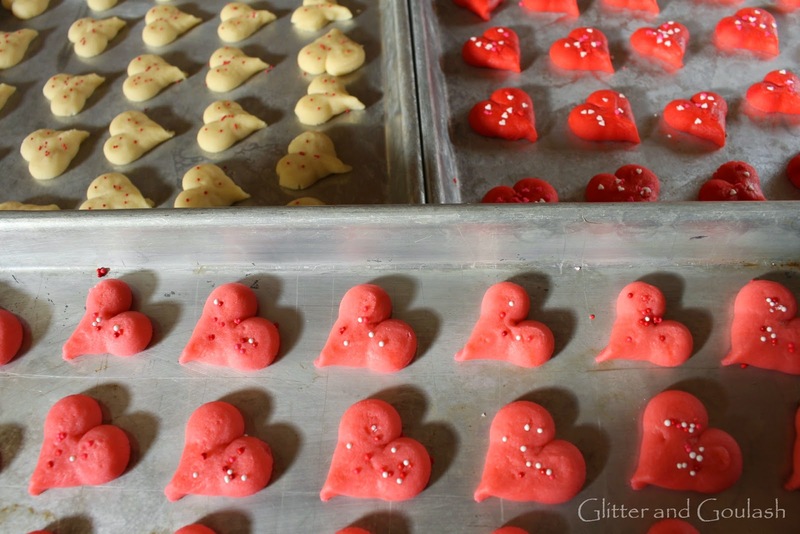 This recipe will make approximately 6 dozen cookies. 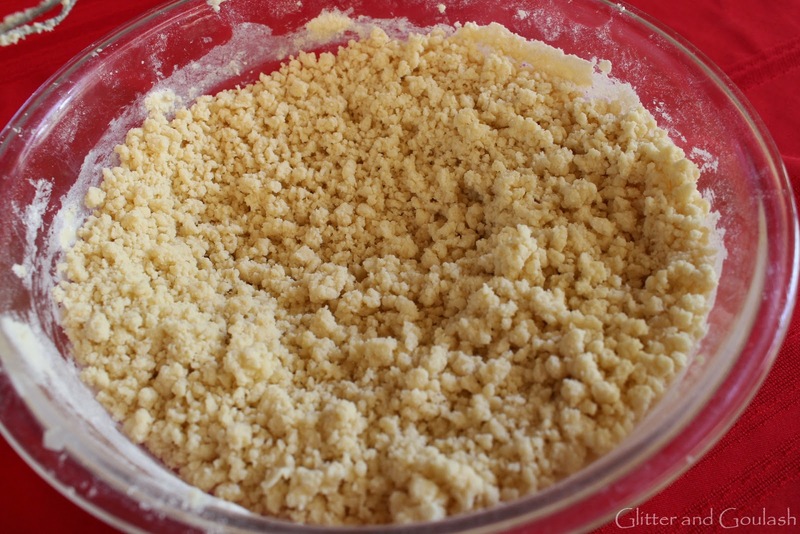 Your dough will resemble fine crumbs if you use a mixer to combine. 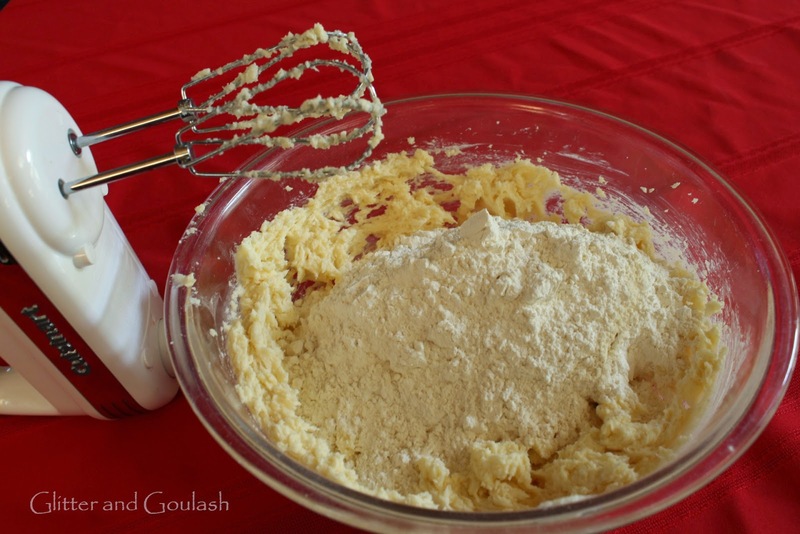 You will need to get your hands dirty here to press the dough together. Cut your dough equally according to how many colors of food coloring you will be using. 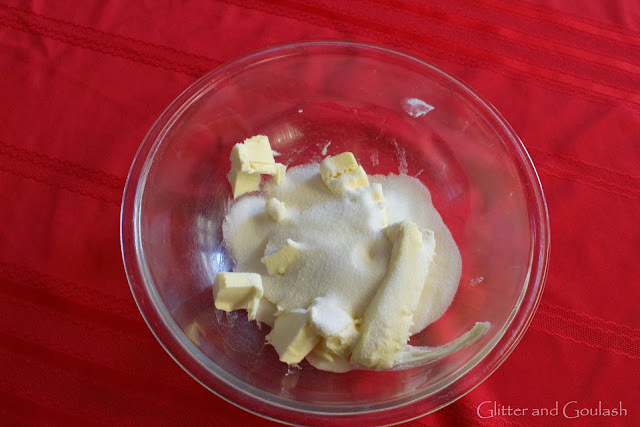 I am going to make three different colors of cookies. 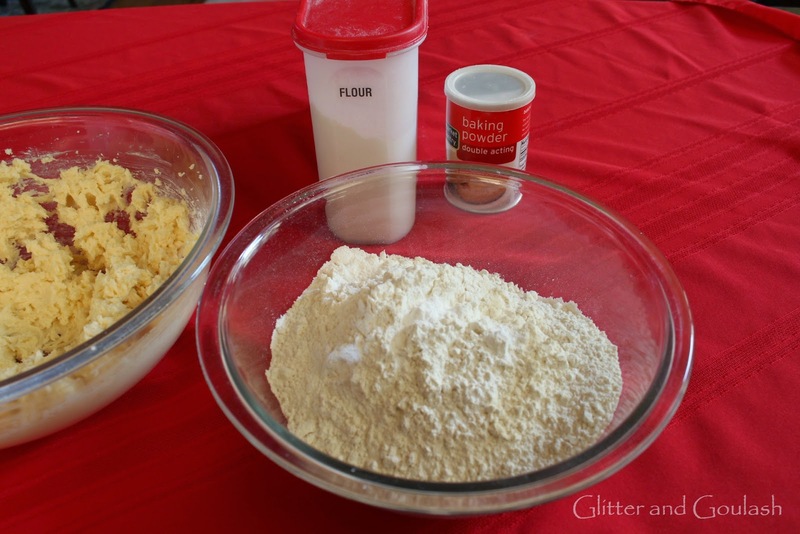 Now it is time to add color to your dough. 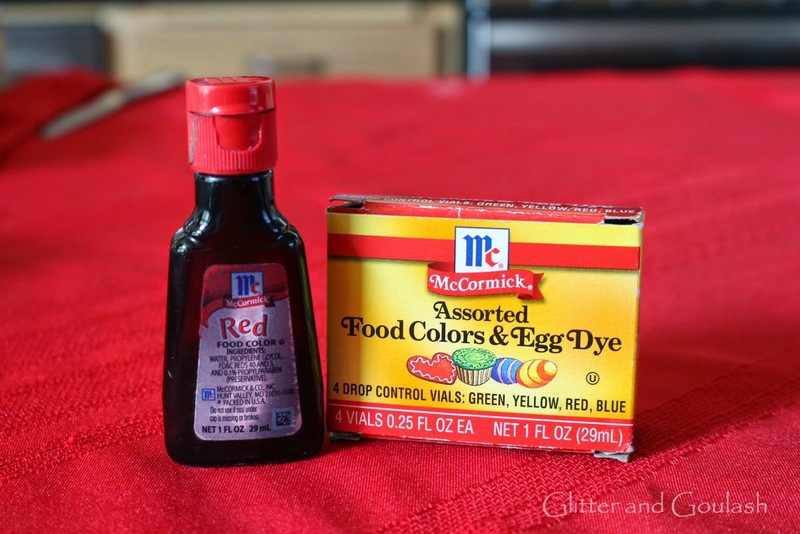 You can use regular food coloring if you like. I prefer to use Wilton Icing Color, especially for trying to accomplish a deep red color. 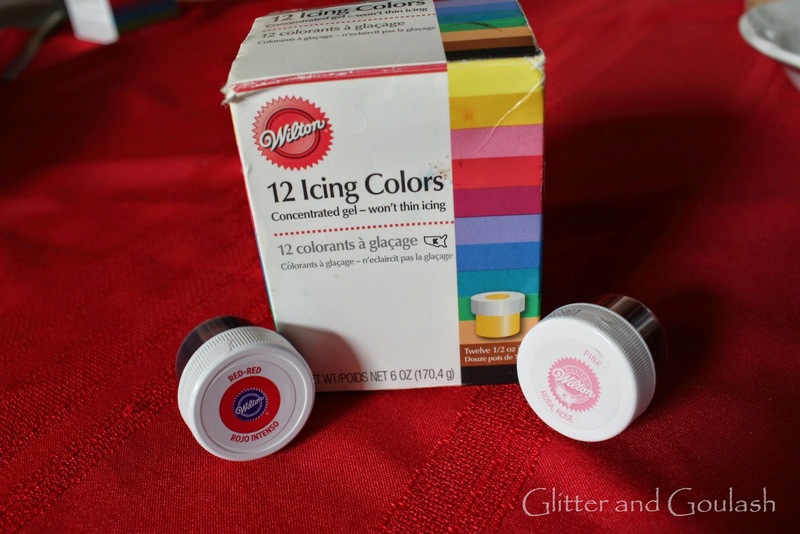 It is much more concentrated so you will use less and I think it gives you a much more vibrant end color. This is how the dough will look once the coloring has been added. 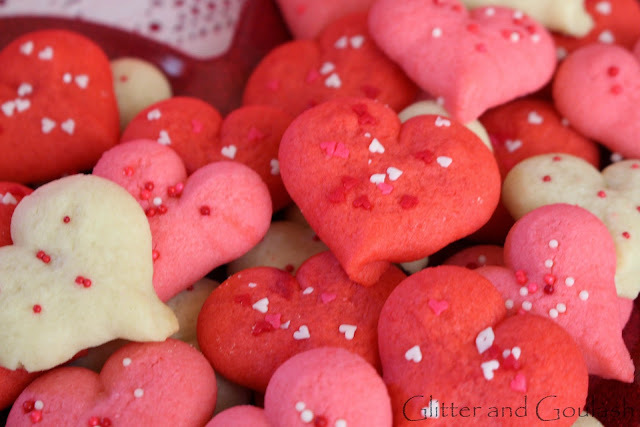 I have chosen red, pink and white for my cookies. Next you will need to get out your cookie press. This is the particular one that I used, but any will do. 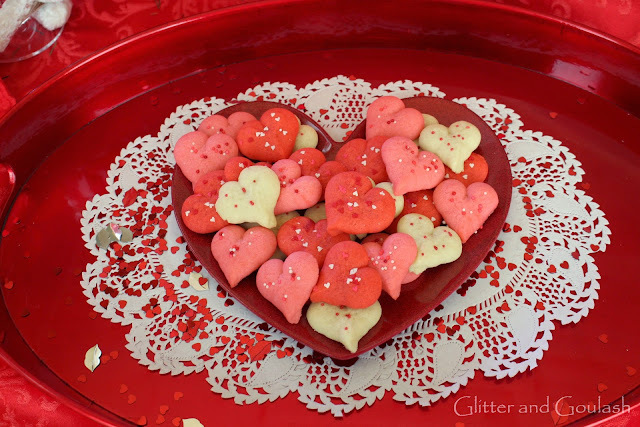 Choose the heart shaped disc (seen in the middle) to insert into the cookie press. 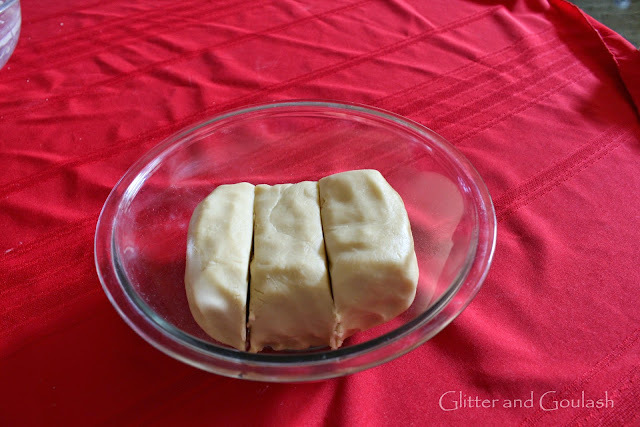 Once you have done that, you can add the divided dough inside the press. 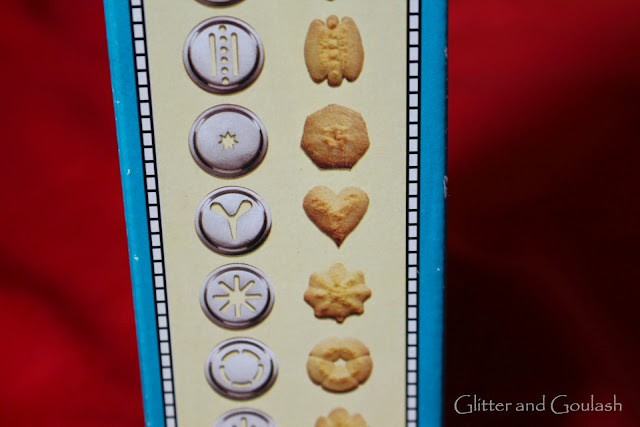 Using the cookie press takes a little getting use to. I always do a few practice ones to get the feel of how much I need to push on the press to get the desired size of cookie that I am looking for. 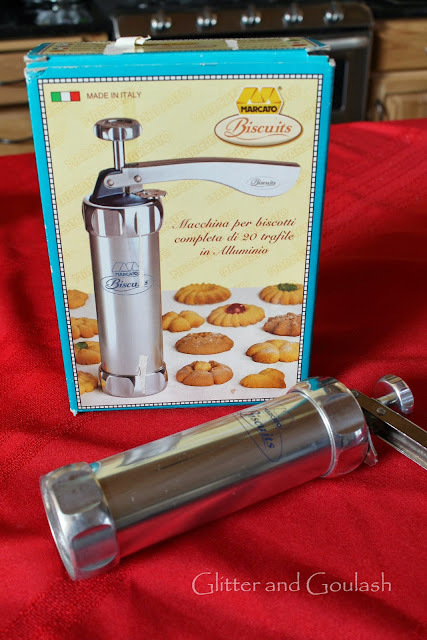 Once I have the cookies on my cookie sheet, I take my finger and pat down the press marks that are left on the cookie. You don’t have to do this step because they level out a little as they bake, but I don’t like to see them at all and it is easier to add sprinkles when the cookie is flat. Cookies after patting the press marks down. 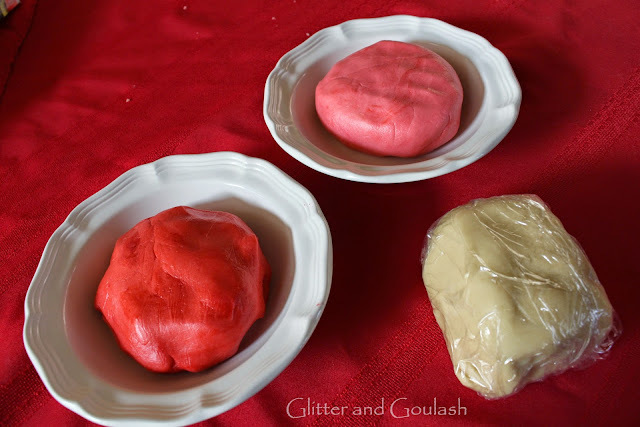 All three colors are ready for baking…. UNLESS you want to go one more step and add sprinkles. 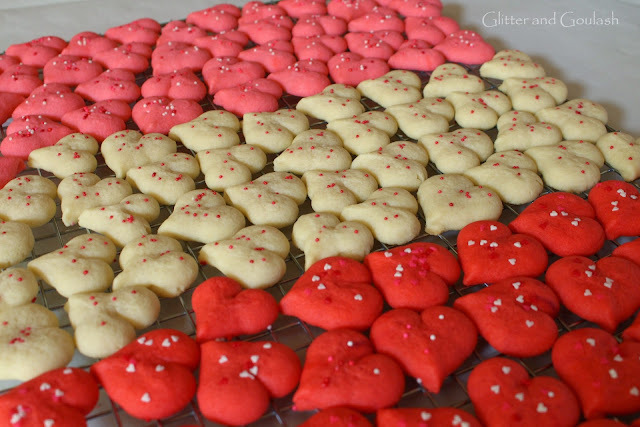 This is totally optional, but I like to do it especially when I will be giving the cookies as gifts. It adds that little extra pop of color to them and makes them look a little fancier. 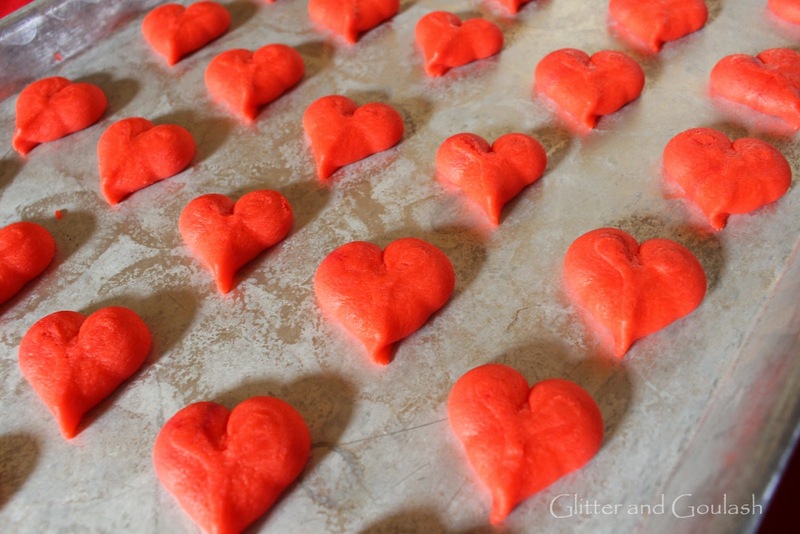 It is a little tricky to get sprinkles to stick to this dough. You can paint a very light egg white wash over the cookie so that the sprinkles have something to adhere to, or you can just go slow and push (very lightly) the sprinkles into each individual cookie. I have done both, but prefer to finger press the sprinkles into the cookies as the egg wash will change the end look of your cookie a little. 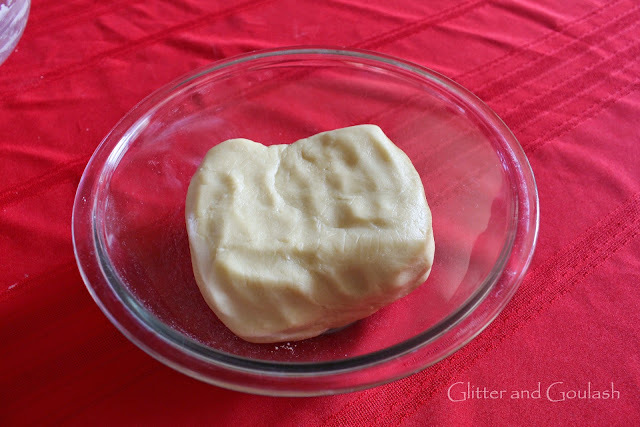 It will give it a slight glossy look after it is baked. Still delicious either way you choose. 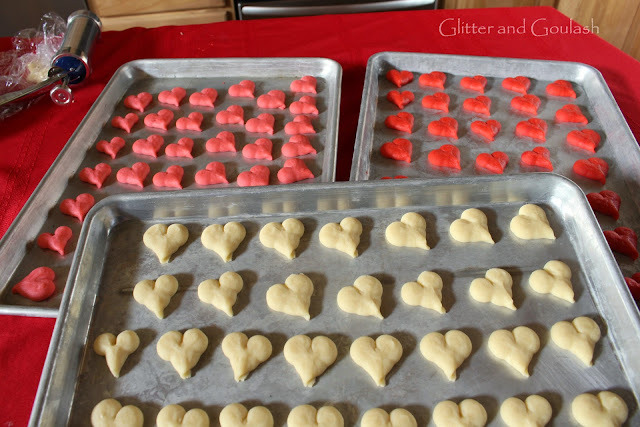 Now time for the oven…bake away little morsels of buttery heaven! I like to wrap these little cookies up and use them for gifts. 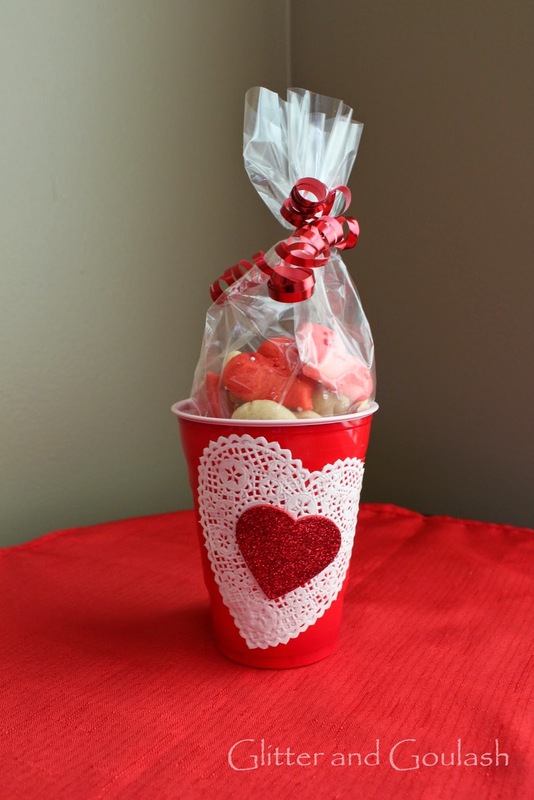 There are so many adorable ways to package these yummy treats. I usually just use whatever I have on hand. Today, I had a red solo cup that I added a little doily and sticker to. 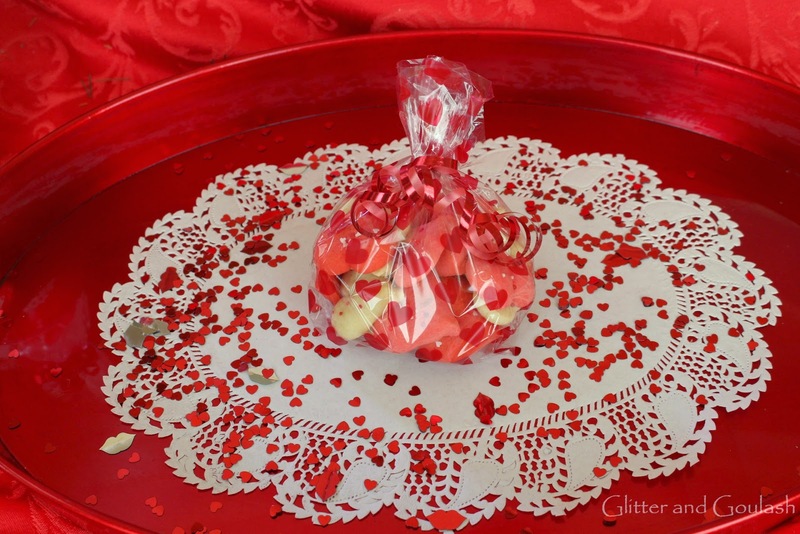 I also had a little cellophane bag with red hearts on it (from last year) that I topped off with red curling ribbon. 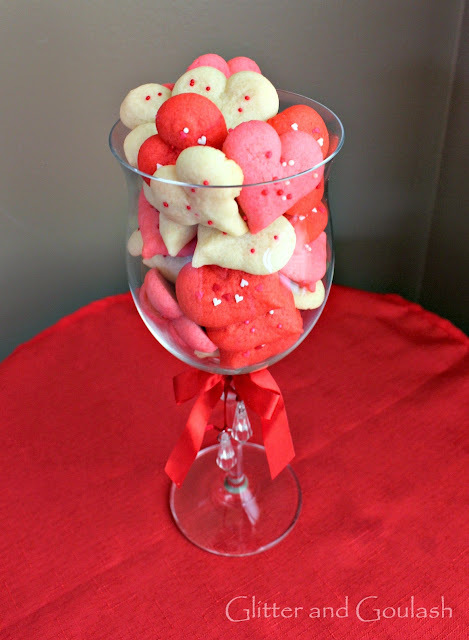 If you will be serving them at home for a treat or dessert, piling them into this over sized goblet is a fun presentation for them. My personal favorite, place them on a cute plate so that you can get to them as quick as possible! Whether you choose to give them as gifts or keep them for yourself, these little morsels are a wonderful treat for the special day!